This is a “keeper”. Delicious! 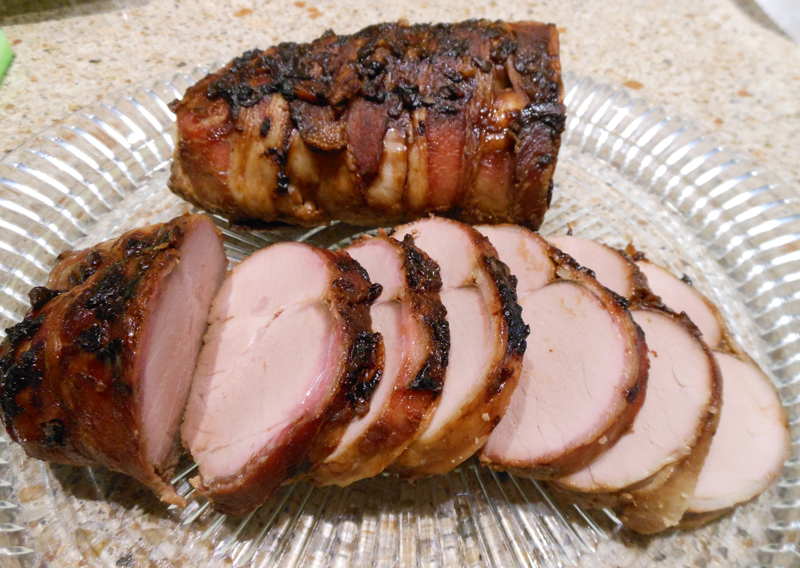 Wrap tenderloin with bacon. Fasten with toothpicks. Mix remaining ingredients and pour over meat. Marinate 3 hours or overnight. Turn once. Bake at 300 degrees for 2 hours or until tender, basting often. Serve over rice with juices.